China’s PLA (Peoples Liberation Army) which is Army of China has been ranked as second in the world regarding budget after U.S Army. 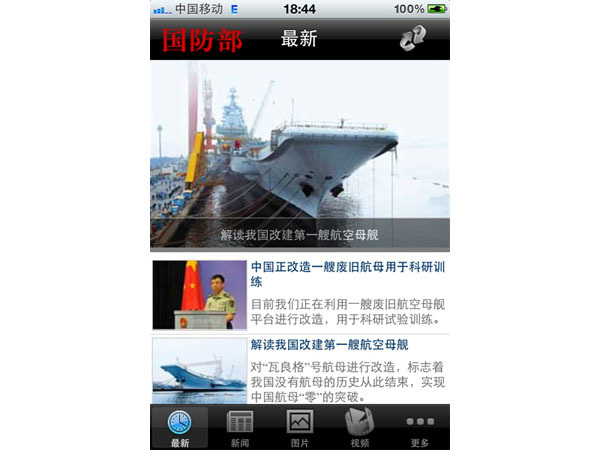 As being the number second in the world, the military thought to create an App of them to sow the world about their strengths and power they got and also to show their people of their country that how powerful is their PLA. When you make an App you first submit it into iTunes for Approval and then when it is approved, it is available for download via the App Store. Did you ever thought of the second way I mean a fast track way? by which you can give the App directly to the users? If you didn’t ever thought of the way, so APL implemented and provided you a way by which you can avoid all the stuff and reach the customers directly. What APL did was something really EPIC. They avoided Apple and released the App which will be only available for Jailbroken iDevices. But there’s a catch: the new app is not available at the official Apple Store. Users who download the PLA app will have to “jailbreak” their iPhone – hack into the operating system – before installing it. While many government organisations around the world have released iPhone apps, it is almost unheard of for a government organisation to provide “jailbreak-only” software to the public. You kidding me. The worlds Second ranked Military avoided Apple and released the App only for Jailbroken iDevices. Something seems to be fishy fishy because China is well known for faking things. If you are a regular reader you must have heard about the Fake Apple stores made in China. So this App is also made in China. So you never know what is behind the App. they show you something and the App does something else.